PHOTO: This Is What BBNaija’s Efe Looks Like Now! Based on logistics, the 2017 BBNaija winner, Efe has decided to change his looks. 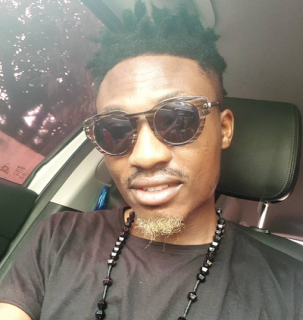 Efe recently debuted his new look but his fans have publicly shown their disapproval. The self-acclaimed rapper showed his dyed new beard which earned him mixed reactions from his fans. Last week, he announced he would be visiting university campuses around Nigeria as part of an initiative titled “Based on Logistics Campus Tour. Efe has struggled to make any significant social impact since the end of the reality show. He has tried out music releasing a few tracks that have failed to earn mass appeal.